Like any other emergency, a dental emergency can happen at any time. 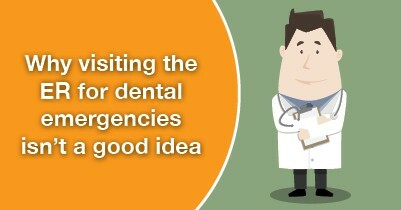 However, there are plenty of dental emergencies that do not require the attention of a hospital emergency room. At our dental office in Clinton Township, we’d like to help you understand which injuries should be seen by a dentist and which need immediate attention at your local emergency room. If you suffer a dental emergency that’s not considered a trauma, give my Clinton Township dental office a call as soon as you can. We’ll get you in for an exam and work with you to resolve the problem. And while we’re always happy to help you fix an injury, we’re also really big on preventing it in the first place. In order to limit your chances of a dental emergency, watch what you eat (caramels, popcorn, and sugar, oh my! ), always wear a mouthguard when playing sports, brush and floss everyday, and maintain your regularly scheduled appointments to keep your smile strong and resistant to problems.